It’s no surprise that with the expansion and reach of the tech industry into the Deep South, that we also see the rise and appreciation of the female entrepreneur in our region. Women have been in the game from the very beginning, pioneering some of the biggest and best businesses out there (see Marissa Mayer, CEO of Yahoo! and Meg Whitman, CEO of Hewlett-Packard as examples). However, we should never discount the long road we’ve traveled to get to this point and the complex journey ahead. According to the #ChoosePossibility survey of heavy-hitter startup female founders, about 86 percent of them agree that women are judged differently than men, with the most common issue cited around perceptions of “aggressiveness” against expectations of “likeability,” and general unconscious bias within our culture. Despite this fact, the number of female startup founders doubled between the years of 2009 and 2014, from 9.5 percent to 18 percent. There is still an uphill battle, as Silicon Valley tech firms have about half as many female directors and about two-thirds the number of female executive officers as America’s largest companies. The share of women leaders at Silicon Valley companies has increased steadily over two decades, the study by law firm Fenwick & West found. But only about 10 percent of directors at Silicon Valley’s 150 largest companies are women, compared with about 21 percent of directors at S&P 100 companies. Perceptions and statistics will continue to change, however, with movements such as #ILookLikeAnEngineer changing the way we look at women in tech. 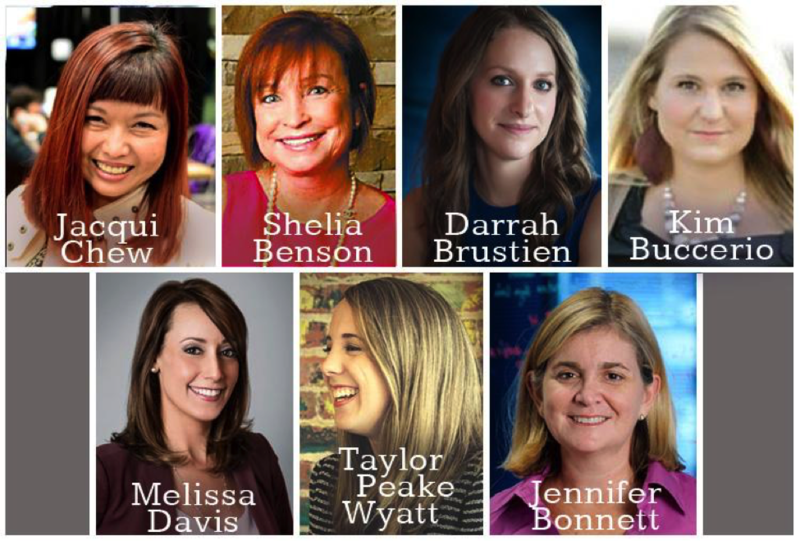 As a Deep South company with its own female president and co-founder, we think it’s important to recognize some of the leading women in tech in our own region. Jacqui Chew is a force to be reckoned with. As one of the first startup pioneers (not to mention female) in Atlanta, she’s made a big name for herself in Southeast. She takes time out of her daily schedule to mentor and foster entrepreneurs, helping those just starting out to understand the big picture. She is the CEO of iFusion Marketing as well as the organizer of TEDxPeachtree. She’s also the Founder of Beyond MVP, a news source for Southern startups. When discussing business women in the South making waves, Shelia Benson is a name you’ll hear often. Shelia has grown a successful company out of Birmingham, Alabama that specializes in employee screening services since 1994. ESS has grown since then to have offices in Georgia, California, Florida, North Carolina, Tennessee and Texas. She helps companies improve their bottom line by reducing turnover, limiting liability and solving employee problems. She makes the office space better for us all! We love Darrah Brustein for her energy and community work in the entrepreneurial space. She’s the founder of Network Under 40 and Network Over 40, both originally created in Atlanta with plans of branching out into other cities soon. When she isn’t busy introducing like-minded folks or writing for Entrepreneur, she’s also the Founder of Equitable Payments and author of Finance Whiz Kids. Upon first meeting Kim it is easy to immediately understand her deep connection to UtopiTrade, a site dedicated to selling fair trade and sustainable products. She lives and breathes what she’s built, a literal walking demonstration of her mission. While UtopiTrade has yet to launch (set for late summer/early fall), Kim is busy putting firm footing on the ground to ensure its success. She aims to make the world a better place, one good at a time. We can’t wait to see what she does. Melissa’s always had a passion and keen skill for matching the right talent with the right company. She began her career doing just that for Matrix Resources where she excelled early at sales and account management. Her next step as a recruiter for Visionaire Partners brought her many accolades such as “Top Performer” for four consecutive years helping to grow the company as one of Atlanta’s top IT staffing firms. Based on this success, Melissa decided to follow her dream at last and start Elev8 Hire Solutions, where she is Founder & CEO. Fun Fact: Melissa was the first female entrepreneur to start working out of Atlanta Tech Village! She now runs a team of eleven people with sights set on further opportunity and growth. Every conversation about women in tech always includes Jennifer Bonnett, who is responsible for connecting many entrepreneurial women to each other through StartupChicks. Since its founding in 2009, StartupChicks has grown to a membership of over 3,000 worldwide, and it all started in Atlanta. Her mission is to create a global community of female founders. Jennifer has over 25 years of experience in the information technology field, which she generously shares with those eager to learn. Taylor’s confidence and intellect are the two most distinct qualities you will notice about her upon introduction. There are few conversations that Taylor can’t chime in on as an expert regarding the worlds of business and technology. Taylor proves that wisdom is genderless and ageless. As the Co-Founder and President of MotionMobs, she has helped many others in the Birmingham area start their first company and has also encouraged experienced business leaders to embrace technology to improve efficiency within their firms. 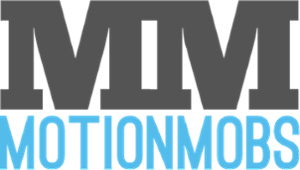 As MotionMobs grows into the Atlanta market, many more startups and companies will benefit from the magical touch that Taylor brings any project. What’s in store for Levi’s? How do I fix pain points in my business?